Kunming Changshui International Airport (IATA: KMG; ICAO: ZPPP), is the main international airport serving Kunming, the capital city of Yunnan province in China. 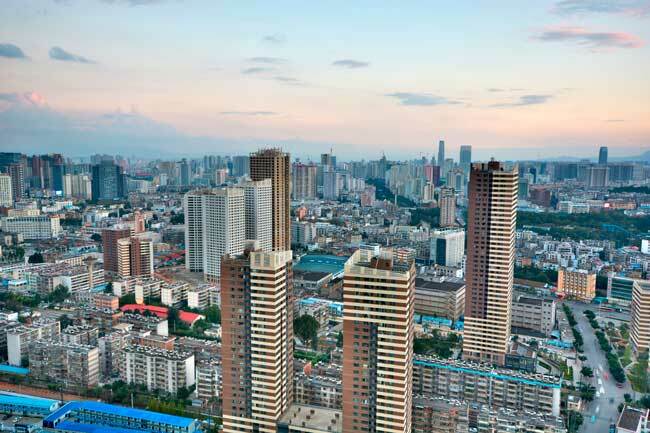 Concretely, the airport is located in Changshui village, about about 30 km away from Kunming city centre. KMG Airport is the hub for China Eastern Airlines, Kunming Airlines, Lucky Air, Ruili Airlines, Sichuan Airlines and Hongtu Airlines. Kunming Airport is located about 30 km away from Kunming city centre. Kunming Changshui Airport is an international airport serving Kunming, Yunnan province, in China. 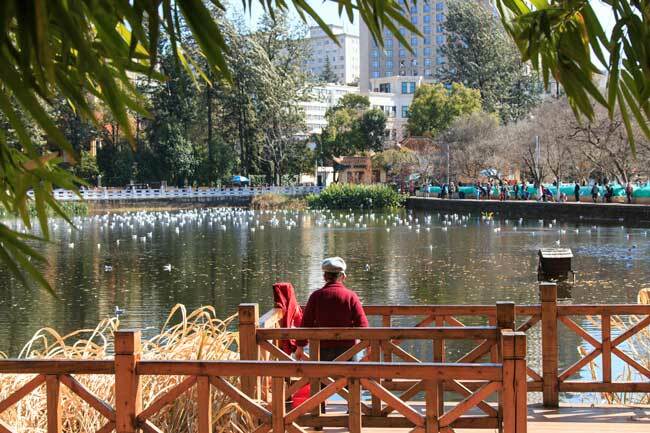 Kunming is a beautiful colourful city full of must-see attractions worth to visit. You’ll find buses and shuttle services at KMG Airport going to Kunming city centre and to many other destinations in Yunnan region. With both natural beauty and an amazing variety of ethnically diverse cultures, the Yunnan province has a bit of everything. 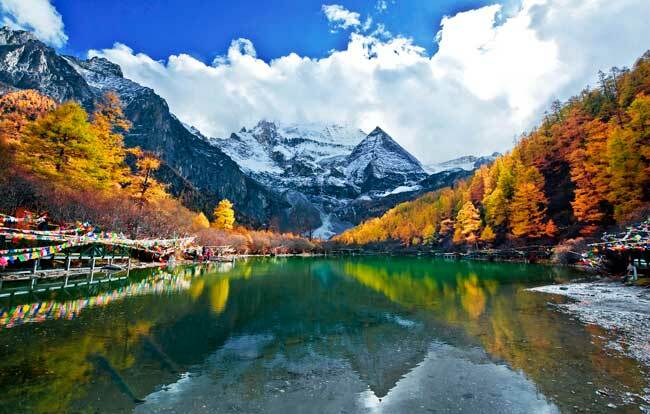 Even travellers in China often go to the most famous places in the country like Beijing or Shanghai and don't go to other regions like Yunnan, if you want to see something authentic and original, then you have to pass through Yunnan, and very probably you won't be disappointed. In 2016, Kunming international Airport (KMG) handled 41,980,339 passengers, being in the list of the busiest 50 airports of the world. Kunming International Airport (KMG) has one unique Terminal building with many airlines, transport access and many other services and facilities for its passengers. Bus: you’ll find several public bus lines at the Kunming International Airport. Car rental: renting a car in Kunming city is a great idea, find your best option with our search engine. Taxi: you’ll find a wide rank of taxis a the Arrivals area of Kunming International Airport. 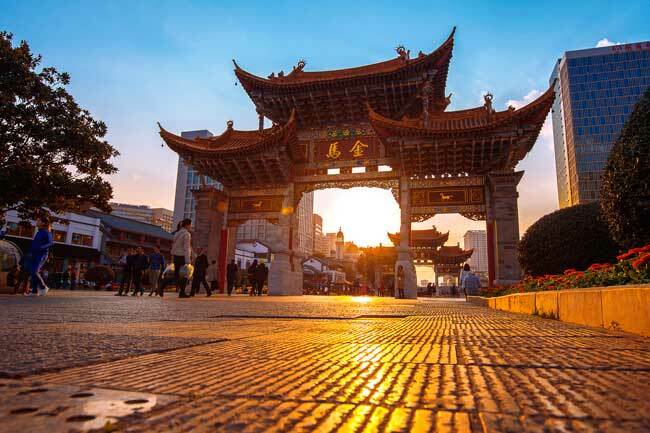 If you are planning a trip to Kunming, the capital city of the Yunnan province, in China, you need to know some of the must-see spots. The Stone Forest Shilin is a natural space covered with water in the past with a very interesting history. Just 2 hours from Kunming it is worth to visit the city Chuxiong, with its Yi minority population. The Dinosaur valley is also very recommended to visit, in Lufend, also near Kunming.